Fitness | Life So Lovely. 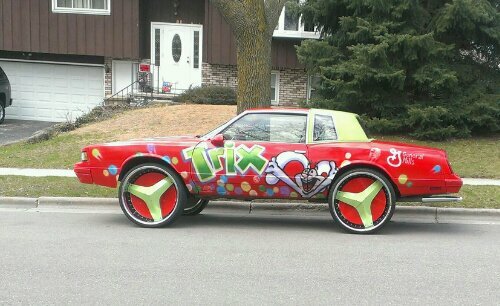 Silly rabbit, Trix are for kids. Posted on April 25, 2013 by Nicole | Life So Lovely. 2) Walking back from her school I got hollered at not once, but twice…no make-up & in workout clothes…obviously I’m not visibly preggo with a jacket on yet. Not gonna lie, it made my day. Haha. AND 3) A young fellow with dreadlocks stopped his car and offered to help me walk my dogs, who were both heeling perfectly. Goodness, I’m flattered, but I cannot wait to move…we don’t even live in a bad area! Either way, I’m definitely ready for a change. And a single-family house. It’s nice to know I’ve still “got it” though. ;) Know what I’m sayin? Posted on November 28, 2012 by Nicole | Life So Lovely. If you’re like me, every year I struggle to come up with awesome kid’s gift ideas for the holidays. And if your child is like mine, they probably have a lot of stuff that they rarely play with already…so why add to the junk? That said, over the past few years McKenzie has gotten some pretty cool stuff that she regularly plays with and/or uses. In my opinion, the best gifts are those that encourage creative family play, and are ones that I actually enjoy playing with her. 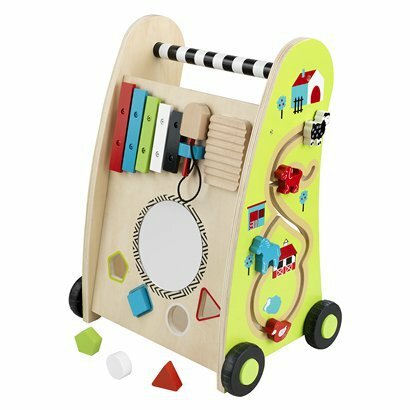 Here are my top 10 (mostly) gender-neutral gift ideas, that are fun and reasonably priced…we either have these already, or they’re on our wish-list! Marble Race ($24.99) McKenzie got this last year for Christmas, and both Jon & I have fun building it with her. She still needs help at age 4, but it’s a great way to spend time together. It provides hours of entertainment! Just be careful if your child has younger siblings, the marbles could be choking hazards! 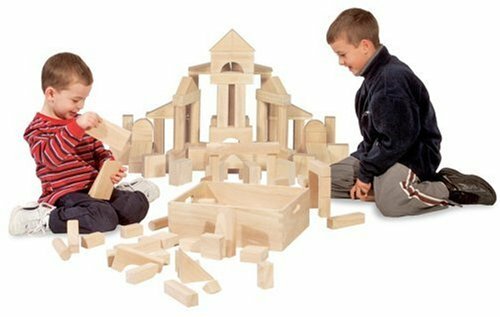 Melissa & Doug Wooden Blocks ($69.99…currently on sale $48.99) I love these because they’re gender-neutral and full of potential…the possibilities are endless! Towers, castles, bridges, etc. They are extremely good quality and come in a convenient, matching wooden crate for easy storage. 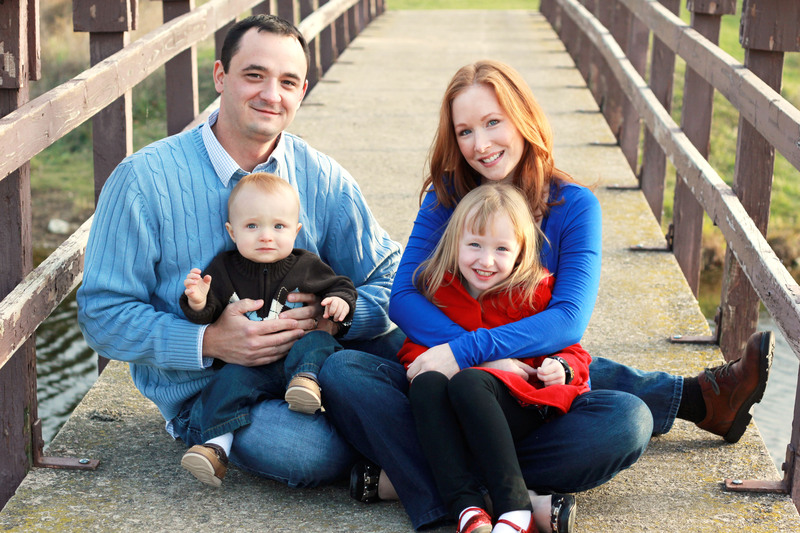 These will easily last for whenever we have a 2nd child, or even grandchildren! 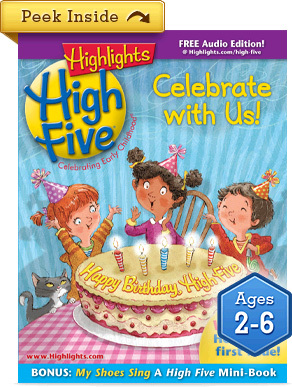 High Five Magazine ($34.44 for 12 issues) Perfect for a boy or girl, this gift keeps giving all year ’round! McKenzie loves the “Tex & Indi” stories in each issue, the “hidden pictures,” and also the interactive activities at the back of each magazine (ie: matching games, build-a-book, etc). She really looks forward to getting her own “mail” each month! 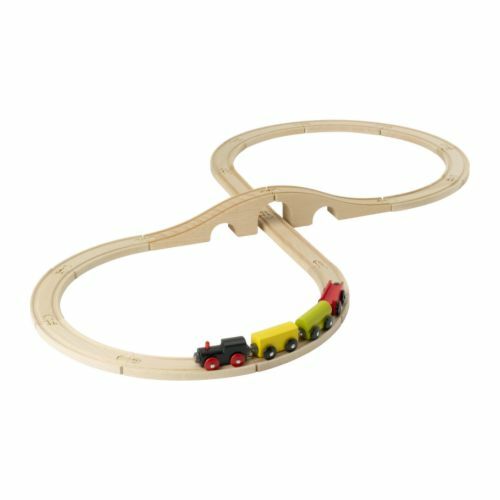 IKEA 20-Piece Train Set ($9.99) If you’re fortunate enough to have an IKEA nearby (or maybe a relative does?!) 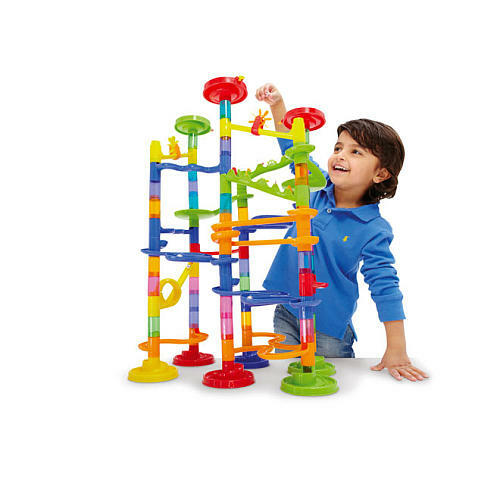 this little set is great for preschoolers & kindergarteners. McKenzie got this when she was 2½, and she still plays with it. For $9.99 you can’t go wrong! KidKraft Fire Station Set or KidKraft Dollhouse ($109.99|$99.99) Although we don’t have the fire station, it could easily be fun for a girl or boy. I love that all the pieces are included and it sits atop a lazy-susan, so it swivels around. If you’re looking for something more girly, McKenzie has the dollhouse. 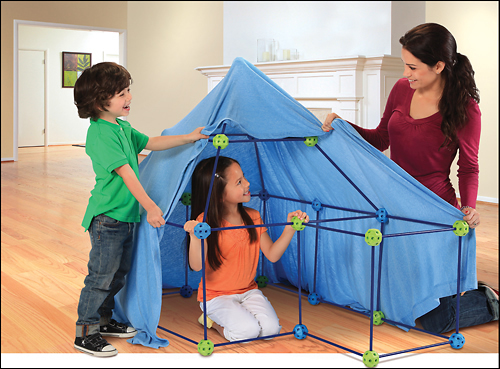 Again, all the pieces shown are included, and I love that it has a removable roof. I chose it because it’s portable, and we can easily move it around from room to room. I’d recommend purchasing a couple extra dollsthough, ’cause it only comes with two. Assembly is super-easy, and it has stood up to hours of play. 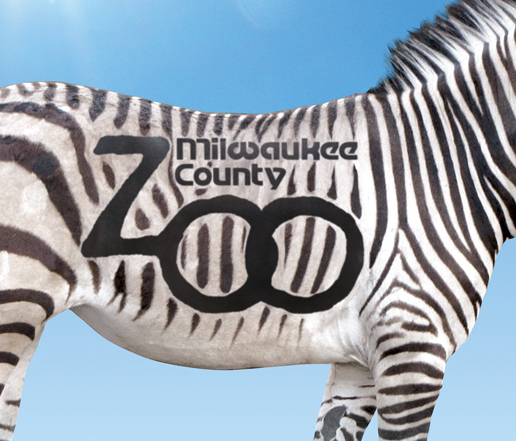 Annual Family Zoo Pass ($109 in Milwaukee…check local pricing!) Although Madison has a free local zoo affiliated with the University, Milwaukee’s Zoo is much larger and has a lot more animals. Check your local Zoos to see how much an annual family pass costs! In Milwaukee it’s only $109 for the Membership Plus package, which includes parking. 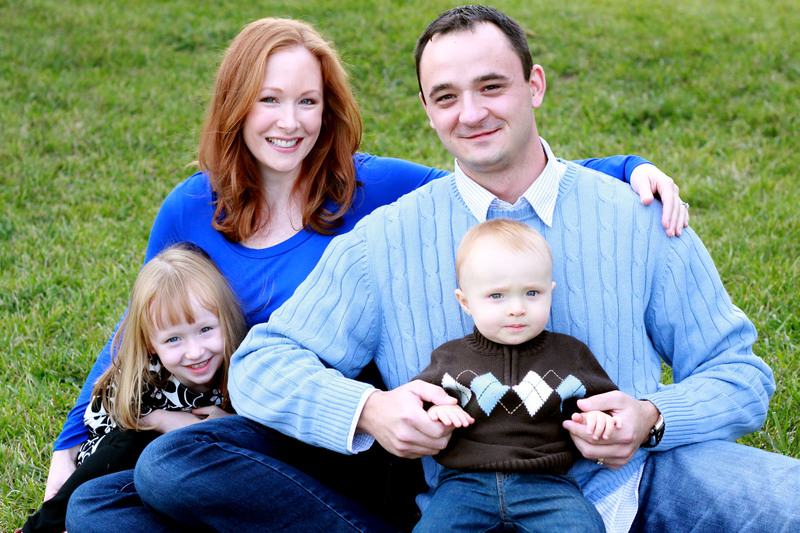 Great for making memories together as a family! Huffy Bike ($39.97) According to the LiveStrong website, 12″ bikes are ideal for ages 3-5. Kids always love a new bike, and at less than $40 (including training wheels!) you really can’t go wrong. Hopefully McKenzie will be getting one this year. She was lucky enough to get a hand-me-down from a neighbor, but there’s something about having a sparkly new one to to call your own, ya know? She already gets enough thrifted clothing and toys, she can be spoiled by her Grandpa a little. ;) Maybe we’ll even jazz it up with these cool princess accessories. Also, since we don’t have this bike yet, I can’t speak to the ease of assembly, so if you’ve done it, please let me know. Annnnd of course if you do get your kiddo a new bike for Christmas, be sure they start practicing bicycle safety early and always wear a helmet! Do you have any great gift ideas for kids? I’d love to hear them! A fun weekend & a new (big) purchase. Posted on November 4, 2012 by Nicole | Life So Lovely. 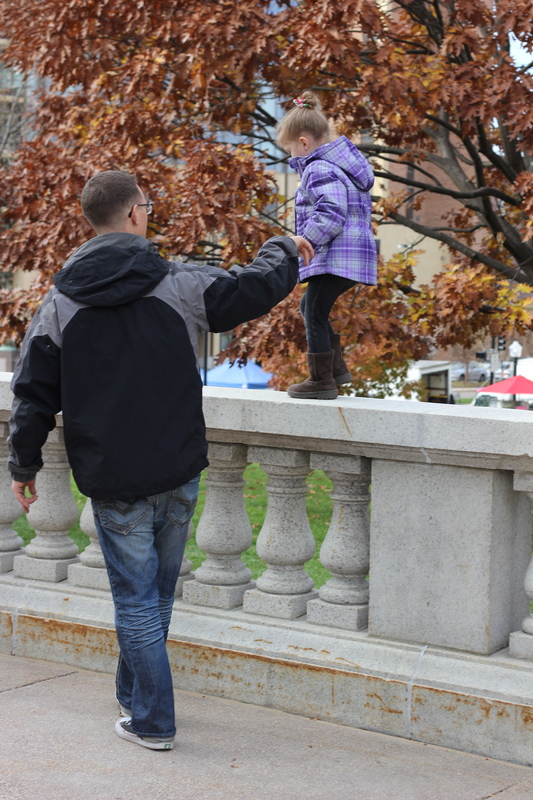 I have so much fun just getting out of the house as a family and enjoying our city. Saturday morning we went to the Farmer’s Market on the Capitol Square (for those not familiar with Madison, the entire block around the Capitol building is full of local farmers…at least a quarter mile around). It’s a blast just to walk around and sample foods/buy fresh fruits & veggies. After walking around, we went out to eat at one of our favorite restaurants, “The Old Fashioned,” where we enjoyed local Wisconsin fare, including Beer Cheese Soup and deep-fried cheese curds with ranch dipping sauce…it sounds gross, but it’s SO delicious. In fact, that was my only craving during my pregnancy with McKenzie. Haha. I had a photo session scheduled at 4, so after our scrumptious meal I headed out since it was an hour away. I got some fun shots, here is my favorite family photo (below). The little boy was having a hard day…I’ve never photographed a baby that didn’t like me! You can see the concern on his face. He’d cry whenever I got near! Oh well. I still think they turned out nicely. In other news, I’ve been looking for a workout buddy for awhile now, to no avail. *sigh* Having someone to workout with really helps keep me accountable and motivated! It’s a big help. 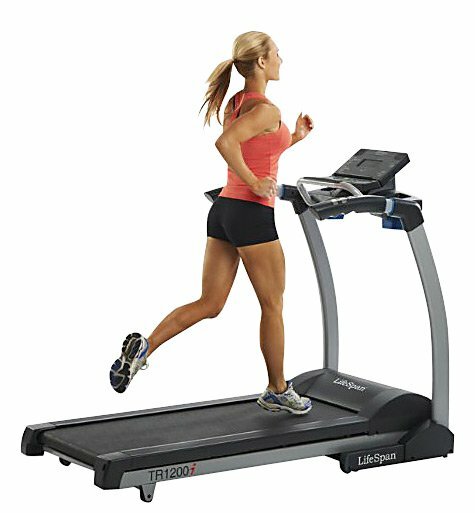 BUT, then I thought: “Well, if I had a treadmill in my house, I would literally have no excuse.” So with my hubby’s blessing (what husband would say no to that), I went out and bought a treadmill. I love running when I can get into it…even walking would be helpful at this point. I’ve been inexcusably sedentary lately. Probably due to my notorious Netflix addiction. Haha. ANYWAY, after McKenzie was born, I lost all the weight very quickly (36lbs total…thanks to the aforementioned cheese curds) just by walking/running 2 miles a day on our treadmill. Just 2 miles while she was napping. Very easy. But for some reason (I seriously don’t remember), we sold it. Soooo I went out to buy one with 2 major criteria in mind: it had to have incline, and it had to fold up to save space. I settled on the Lifespan 1200i (which was on sale for $999, originally $1,599).